Cherry Close is an exciting new development of just 4 detached houses built-in in an attractive neo Georgian Style with traditional Georgian front porches, double glazed windows with stone sills and hipped roofs. Cherry Close is a private drive situated on the outskirts of town off Borough Lane/Buckenham Road, approximately a mile from Attleborough town centre, within walking distance of the railway station. Proceed out of town on Station Road, continue over the level crossing, continue past the Toyota car show room then turn left into Borough Lane, then first left into Cherry Close where Plot 4 will be found as the first property on the left hand side. Cherry Close will be an un-adopted shared driveway, we are currently awaiting details of the arrangements and details relating to this. We understand that the property will have a 10 year build warranty, we are awaiting confirmation as to which scheme the property will be under. 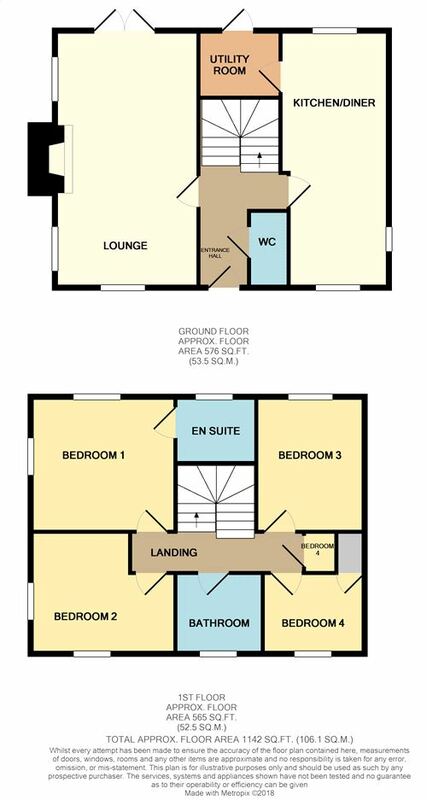 Prospective purchasers are advised that these details including room measurements have been taken during construction and prior to wall plastering. Anticipated completion is envisaged for August/September 2018. Plot 4 is situated adjacent to Borough Lane with a commercial motor business to the rear.